Avalanches -- large masses of fast-moving snow -- need four ingredients to form: snow, a steep slope, a weak layer in the snow and something to trigger the catastrophe. The National Park Service lists over half a dozen avalanche types that range from wet ones, which consist of snow, rocks and other materials, to powder avalanches -- the most destructive. Powder avalanches send loose snow plummeting down a slope, engulfing objects and people in its path. 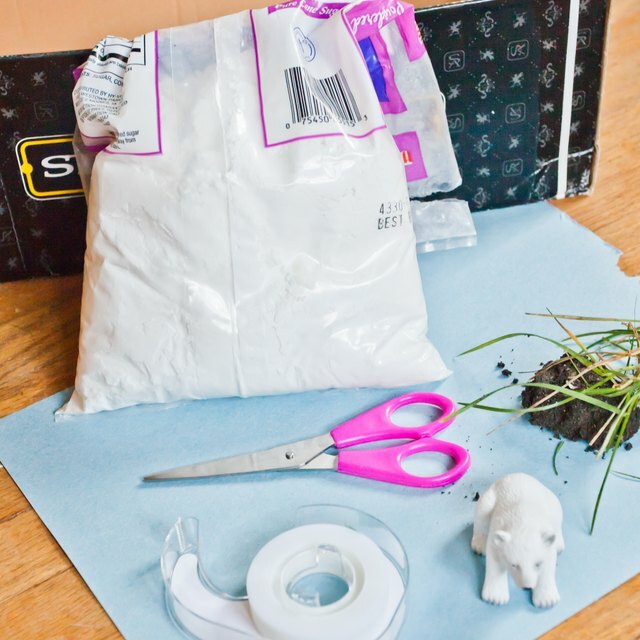 Scientists can't predict exactly when an avalanche will occur, but you can create a model of one using common materials. A car windshield is a type of slope, and snow that slides down it resembles a miniature avalanche. Sliding occurs when a snow-packed windshield gets warmer and the snow loosens. 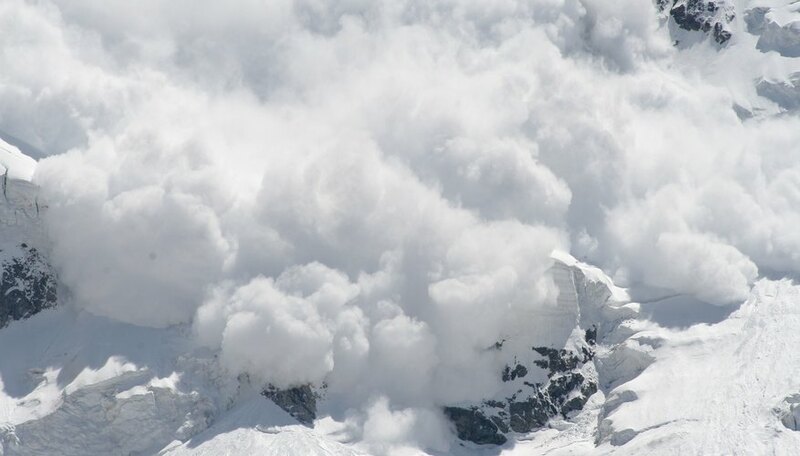 Avalanches can also occur on mountains when temperatures rise, though the conditions that trigger true avalanches are complex. A large avalanche may release the equivalent of 20 football fields worth of snow that cover a depth of 3 meters (10 feet). Mountain slopes have different types of surfaces that affect the way avalanches behave. Some slopes, for example, may have rocky surfaces that help anchor snow, while other slopes have smoother terrain. As the United States Department of Agriculture Forest Service notes on its website, "Smooth, open slopes are more dangerous, but avalanches can start even among trees." You can create a more realistic avalanche model by building and then testing several surfaces. Divide a small foam board into four sections where each one is 91 centimeters by 30 centimeters (36 inches by 12 inches). Simulate a smooth slope by covering the first section with acetate. Use glue to attach three small rocks in the middle of the next section. Emulate a rougher surface in the third section by covering it with three or four cheesecloth sheets. Glue a dozen small rocks in the final section to represent a rocky slope. Mountain snow packs consist of layers that have varying degrees of strength. For example, one layer may be stronger than another because stronger bonds exist between its snow crystals. Shake granulated sugar on the foam board's sections. The sugar simulates a light snowfall that might occur in the winter. Pour a coating of flour over the sugar and pack it down firmly. This flour represents a dense snow layer that might occur during a heavy snowfall. Shake a light layer of potato flakes on top of the flour to simulate light snow that could cover the mountain a little later. Finally, pour another layer of flour over everything -- this represents another strong snowfall. At this point, your foam board simulates four unique mountain slopes covered with multiple types of snow layers. Gradually lift one end of the board until "snow" slides down the board. When that happens, use a protractor to measure the board's angle. Record your observations as you continue to increase the board's inclination. Note, for example, how the different types of snow move down each of the four slope surfaces as slope angle increases. Lee, Kevin. "How to Create a Model of an Avalanche." Sciencing, https://sciencing.com/create-model-avalanche-4866747.html. 24 April 2017.